IWTBlog - The Illegal Wildlife Trade Blog: The Gaborone amendment: where is the EU in its internal procedure to accede CITES? The Gaborone amendment: where is the EU in its internal procedure to accede CITES? Next Wednesday 5 November the Committee on the Environment (ENV) of the European Parliament (EP) will consider the draft Recommendation on the draft Council Decision concerning the accession of the European Union (EU) to the Convention on International Trade in Endangered Species of Wild Fauna and Flora (CITES). In a few simple words, the Committee will discuss if it agrees with the accession of the EU to CITES following the entry into force of the Gaborone Amendment. Taking advantage of this event and knowing how complicated the EU mechanisms may be, I decided to try to break it down. What is the Gaborone amendment? This amendment allows the EU, an organisation constituted by 28 sovereign States which has competence to negotiate, conclude and implement international agreements, to become a full member of the Convention and exercise the corresponding rights and obligations within the limits of its attributed competences. To date, the EU has been an observer. Highly complex and controversial, I will leave aside the whole story of the EU competences. For those who are interested, I recommend this Brief by ClientEarth on the powers to negotiate on behalf the EU. So, does the EU intend to accede CITES? The quick answer is ‘Yes’ provided that the internal mechanisms of decision taking allow for it, or in other words, if everybody agrees on the terms and conditions of such accession. How does the internal procedure work? 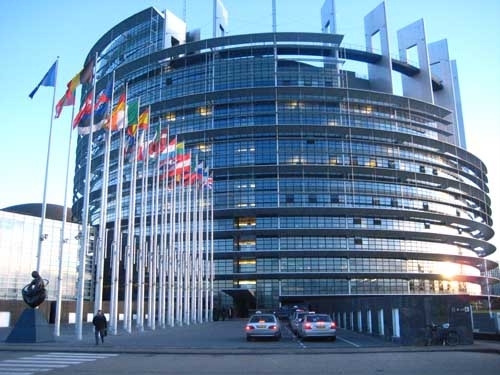 The EU’s principles, rules and structure are established in two texts which could be considered (by some at least) as the equivalent of a Constitution: The Treaty of the EU and the Treaty on the Functioning of the EU. They establish among others the competences of the EU and the institutions that will develop them. For more information, again I recommend to read this article by my friend Marta Ballesteros about the Lisbon Treaty from an environmental perspective. In this case, the proposal for a Decision to accede CITES must originate from the European Commission. On 6 December 2013, the European Commission published a proposal for the EU accession to CITES (COM (2013) 867 final). This proposal was sent for adoption to the Council of the EU. The Council is composed of 28 representatives of the 28 member States of the EU. In this formation, they meet regularly to discuss, amend and adopt legal texts. In this case, the Council adopted the Draft Council Decision on 3 June 2014 approving the accession on behalf of the EU. The document is still a draft because the Council must look for the consent of the European Parliament (EP) before it becomes final. To complicate things, the EP itself has its own internal procedures. What will happen on Wednesday is a first discussion within the Committee on the Environment. To facilitate it, a rapporteur, Ms. Pilar Ayuso, has prepared a draft Recommendation available already online. Once discussed, the recommendation will have to be voted first by the Committee, then sent to the Plenary, discussed and voted again before it can go back to the Council. For the convenience of potential readers I have included hyperlinks to the available documents. I have also omitted the references to the articles to avoid a legalistic text. Despite the interesting point of selection of legal basis raised by the EP’s Legal Affairs Committee, many questions on how this accession is going to be implemented are still open. We will see if Wednesday’s brings any discussion, but in any case, all looks well for the EU to accede CITES maybe even before the end of the year.